Here’s my dad’s super easy recipe for salmon. It takes less than 10 minutes to cook and it uses about 1/2 a teaspoon of everything. Enjoy! 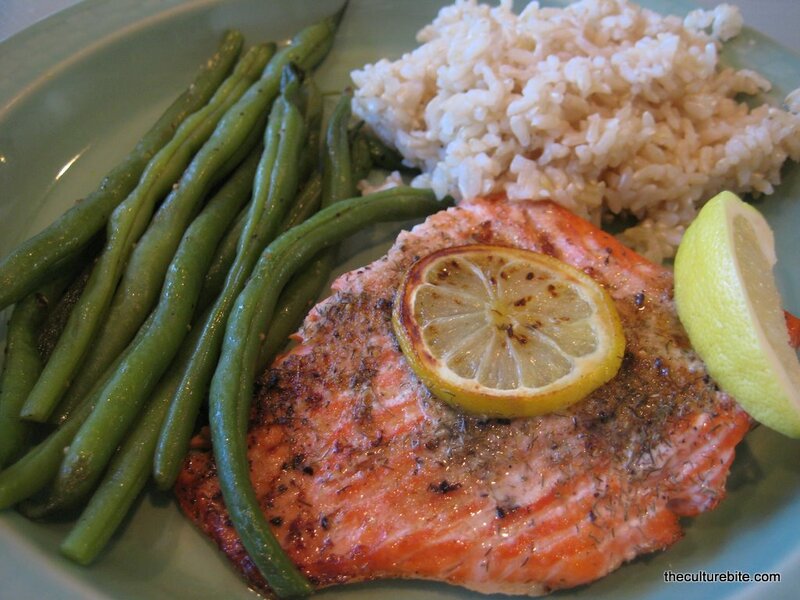 Place salmon on a baking sheet, skin-side down. Cut 6 thin slices of lemon and spread evenly across the salmon fillet, then sprinkle salt, pepper, garlic powder and dill. Add butter and a drizzle the olive oil over the fish. Pop fish in the oven and cook for 5 minutes. Time may vary upon thickness of the fish.